Sandino Coffee Roasters farms and roast Nicaraguan Specialty Coffee. We sell it directly to you from our family farm. 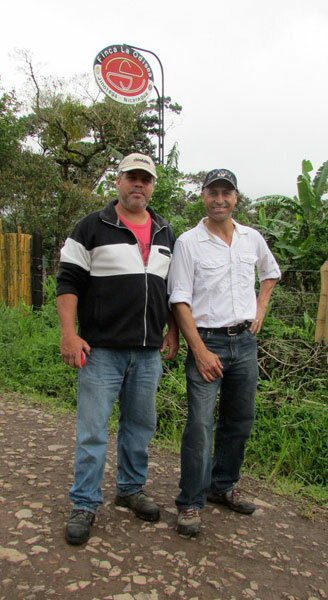 Our family has been involved in the coffee cultivation business for generations. Because my brother and I both grew up surrounded by the coffee business with most of our relatives directly engaged in the growing, selling or marketing of coffee, we decided we should get involved even though we both had studied professions not clearly associated with agriculture. After the war in our country, coffee did not look to be a profitable profession. Nowadays, our objective is to bring Nicaraguan coffee quality back to where it was before the war devastated our country and economy. Before the Sandinista-Contra war, our country was the top-producer of superior coffee in Central America. The older of the two brothers, Lenner Sandino is a licensed architect by profession and a perfectionist by nature. Lenner is the type of person who exceeds at whatever he chooses to do. In school, he was always the straight-A student who was top of his class. During the years of crisis in our country when Nicaragua was engaged in civil war, Lenner was drafted at the age of seventeen and spent two years in the military service. Nowadays, Lenner resides in our family home in Jinotega, Nicaragua. Called the City of Mists, Jinotega is a tranquil small municipality with a population of approximately 55,000 located three-hours by car from the capital of Managua. Lenner manages the daily operation of our plantation. He spends most of his time at the farm assisting the farmers, planning improvements, overseeing cultivation and directing the harvest during the months of December-February. Lenner has studied current methods of raising premium coffee in both a traditional and sustainable manner and has put his academic mind to great use to become knowledgeable regarding all aspects of propagating safe, quality and entirely shade-grown coffee beans. From Our Family Farm to Your Family Kitchen! The day my brother was released from military service I, also at the age of seventeen, was drafted and spent two years stationed in the jungle during the civil war. As soon as I had served my time, I enrolled at the national university to study civil engineering in the capital of Managua and am a geotechnical engineer by profession. After graduating, always an adventurous spirit, I won a scholarship from the Japanese government to study advanced bridge and road construction in Japan. It was in that beautiful country where I met my wife, an American who was teaching English and Spanish at an international school. As for myself, the younger of the two brothers, I currently handle the import, roasting, packaging and marketing of the coffee beans in the USA. 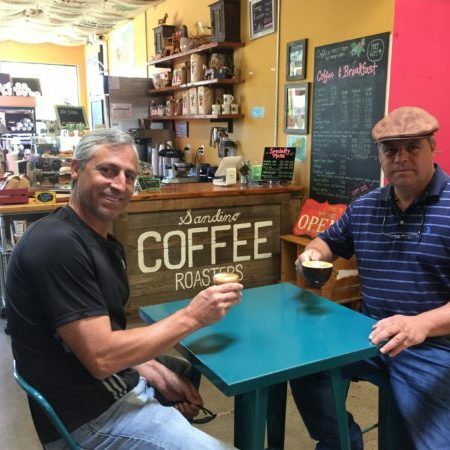 My brother and I have always been close and we are very excited to be working together to bring the quality coffee beans we grow on our farm to a larger group of coffee enthusiasts. We hope you enjoy the coffee we so carefully raise, harvest and roast with the aim of meeting the highest expectations of global coffee connoisseurs. We like to say that our coffee travels from our family farm to your family kitchen. It is true!